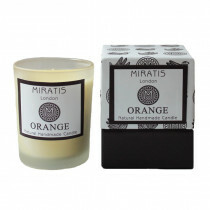 Hand poured in England by artisan candle makers, Miratis candles are 100% natural. We use the highest quality pure essential oils to create simple but beautiful aromas that are designed to evoke memories of special moments in life (never chemical scents). 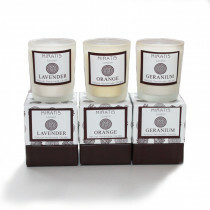 Our philosophy is to create wonderful scented candles using the very best natural materials. 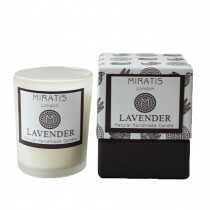 Each distinctive candle is expertly crafted to guarantee lasting fragrance and an excellent scent throw. 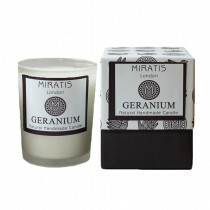 Our pure rapeseed wax has superior ‘green credentials’ with no issues of intensive farming or deforestation. 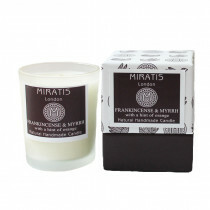 Miratis candles contain no palm wax or paraffin wax, it is made from non GM crops grown in the UK and EU. The wax that we use is bio degradable and harmless to wildlife. We work hard to ensure that our candles offer a smooth, even burn and use unbleached, cotton candle wicks for a clean and pure burn. 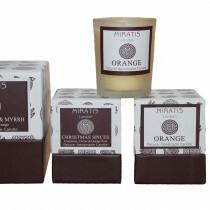 Miratis candles will arrive at your door in our beautiful candle boxes, making our candles an ideal gift.